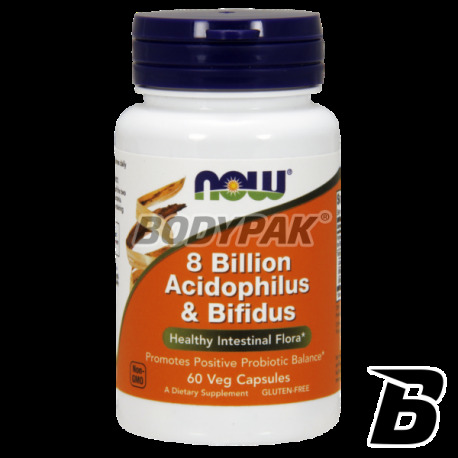 Health & BeautyNOW Foods Acidophilus & Bifidus 8 Bilion - 60 kaps. 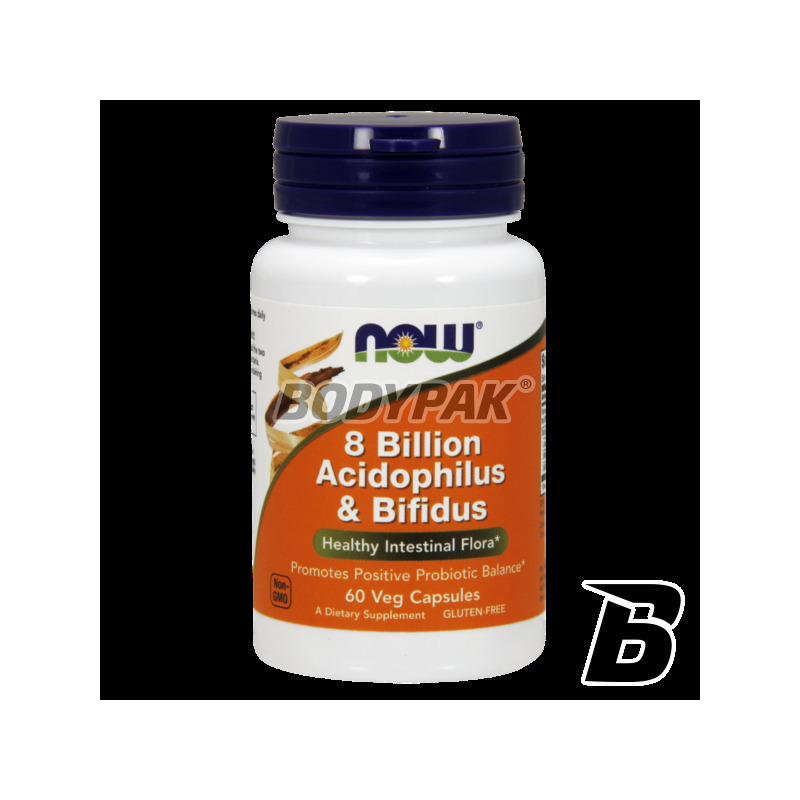 NOW Foods Acidophilus & Bifidus 8 Bilion - 120 kaps. Professionally developed a probiotic supplement with a full spectrum of intestinal bacteria containing a combination of three extremely important bacterial strains able to colonize the intestine. Developed in order to supply the main components of the intestinal flora balanced. A healthy intestinal flora is the basis of a strong immune system, good health and longevity. Probiotics are the living beneficial bacteria that protect our gastrointestinal - tract. The preparation Acidophilus and Bifidus 8 Billion improves digestion, improves absorption and utilization of beneficial substances, suppresses the growth of bacteria and microorganisms, increases immunity, cleanses the body of metabolic waste, protects the physiological flora of creating favorable conditions for the production of B vitamins and vitamin K improves peristalsis and defecation process. Łatwe do połknięcia kapsułki, cenne wsparcie dla mikroflory jelitowej, choć cena jest dosyć wysoka.